98.8% of buyers said they were satisfied. Edmond from La Crescenta bought this item recently. Спасибо.. Хороший магазин и товар!!! Буду брать еще.. Very nice bag. My boys love it. Awesome backpack! The picture does not do it justice. I was very surprised at how durable it was for the price, the inside has a pocket and the print is great. Zipper is really cool too..my son pointed that out. When you unzip the front part, the print continues on the inside. It has the netting on both sides for drinks, etc. Normal, average sized backpack, not the smaller ones. It arrived really fast too! Can’t say enough, this was a great buy..thank you!! The backpack came in great condition and sooner than expected. My 8 year olds son is very excited. The back pack was great quality and three was no damage found. I will be buying from this seller again in the future. I assumed the back pack would be cheap made but it honestly is one of the best made backpacks I’ve seen. The zipper is smooth and there is padding on the backside. My daughter is so happy with it! 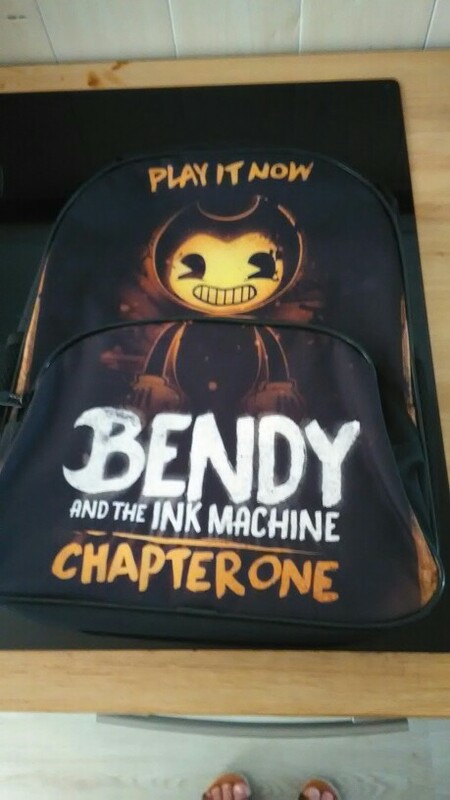 My son loves his new backpack. Appears to be good quality. We’re very happy with what we received. Perfect and exactly what my son wanted! snelle levering en de tas zag er goed uit. YES just in time for school! !